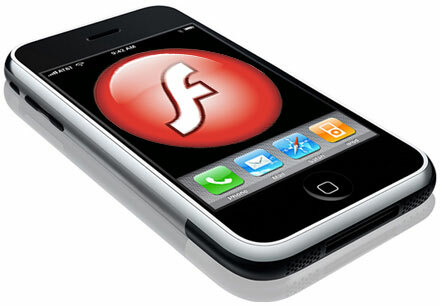 I’m sure that you already know by now that Steve Jobs doesn’t like flash. Ok, this is not exactly how he said it… but close enough. (read about his thoughts on Flash). Either way, the fact is that iPhones and iPads doesn’t run Flash. Steve says that all sites should be developed in HTML5 and no flash is needed and flash drains your batteries and flash is the root of all evil, etc. Where you can find it? This is where. Smokescreen, as the tool’s name is, is currently in a preview release but it actually works (I tested it on the iPhone myself) and they are going to release it in full in two weeks time. In the meantime you can check the demos out. I’m sure that it will have some limitations… and it won’t be blazing fast or save your battery but still it’s quite impressive… and if a third party can do that… imagine what Adobe itself can do! In addition I’m positive that since it will be open sourced, there will be significant speed up in the future by the help of the community. No luck in IE??? Why don’t I consider this a surprise??? But wait… didn’t we wanted to use this on iPhones and iPads? That’s right… Safari will do just fine then! Apple iPad… Magic or just Not good enough?